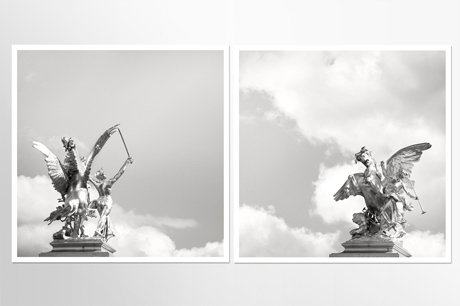 Allegoric sculptures at the Alexander III Bridge in Paris. Set of 2 square fine art prints with silvery effect on metallic paper. Each print has a white border for easy framing.